This weeks' standout books include Border Town which has already announced a second printing. Polygon perfectly described my initial thoughts that Border Town was like, "the Mexican-American Stranger Things." Nerdist called it “Edgy, timely, and dark, Border Town is exactly what you think it is, but also a complete surprise. It hits all the right notes, from Eric M. Esquivel’s razor-sharp script to Ramon Villalobos’ Frank Quietly-inspired artwork. It’s grisly and mean, with a heavy political commentary all wrapped up in a mythological package." We think it's just great fun. 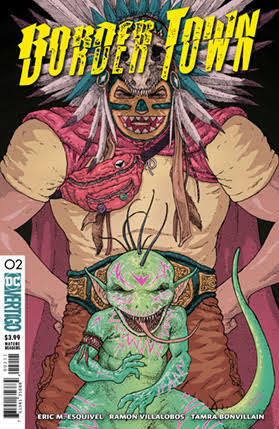 Border Town sprung from the heads of writer Eric M. Esquivel and artists Ramon Villalobos and Tamra Bonvillain. The ongoing series is based in the fictional town of Devil’s Fork, Arizona, where a crack in the border between our world and Mictlan unleashes monsters from Mexican folklore. As the residents of the small border town are plagued by shared nightmares, otherworldly radio transmission, and mysterious goat mutilations, racial tensions become supernaturally charged. It’s now up to the new kid in town, Frank (Francisco) Dominguez, and a motley crew of high school misfits to discover what’s really going on. Border Town is the first of a new line of creator-owned series from the recently rebranded DC Vertigo imprint, led by Executive Editor Mark Doyle and dedicated to creating modern, socially relevant, high-concept stories appealing to readers of all genres. The second printing of Border Town number one will arrive in local comic shops October 10, with Border Town number two available on October 3. 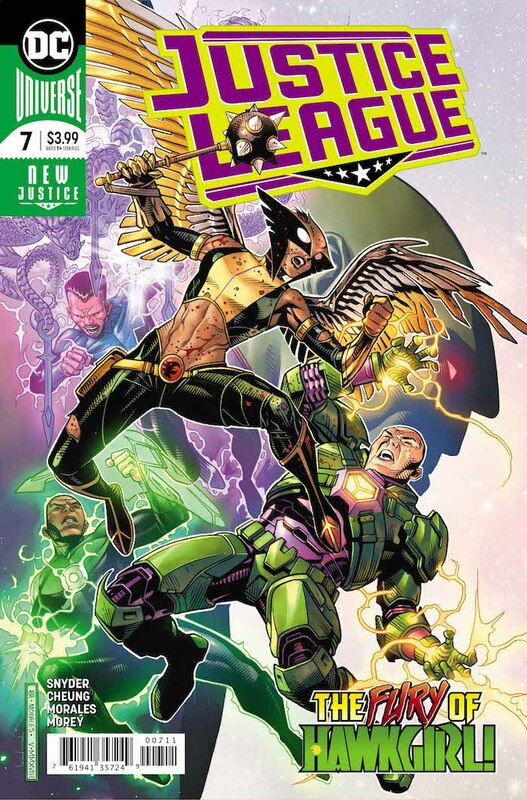 Justice League number seven continues fan fave writer Scott Snyder's reboot of DC's heavy hitters — this issue focuses on Hawkgirl and reveals Vandal Savage's role with the invaders from the dark universe. 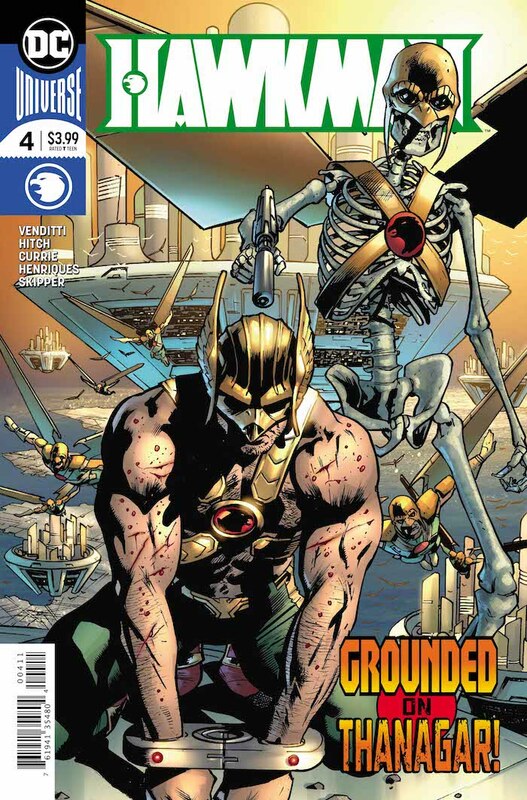 Hawkman number four unfolds the continuing new origin of the storied Winged Warrior — I can't say enough good things about this book — just give them your money! 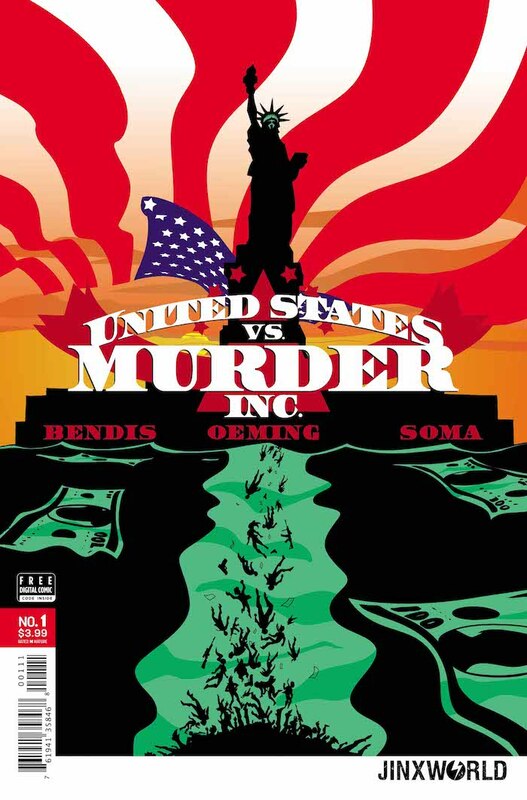 US vs Murder Inc is JINXWORLD's new creator owned book from superstar writer Brian Michael Bendis and artist Michael Avon Oeming — remember how big their last collaboration for Image Comics Powers was? — well get in on the ground floor of their next pop-culture phenom.